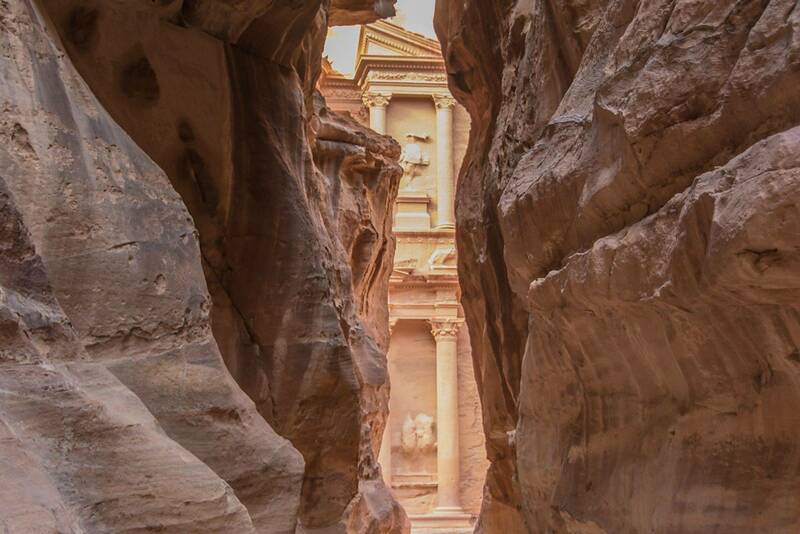 Dr. Davis has prepared a very detailed lesson on the city of Petra, a city carved in rock thousands of years ago that will be the hiding place for Jews during the tribulation. Please take some time to go over this material, it brings up incredibly interesting connections between Daniel and Revelations that pertains to these last 3 and half years of the tribulation. 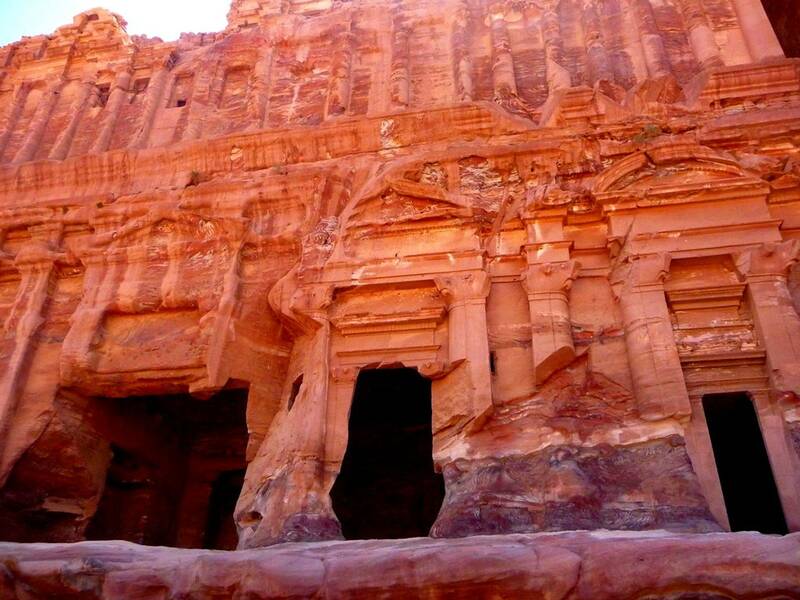 Please take this fascinating tour through Petra. It is this city many believe the Jews will flee during the last part Tribulation. 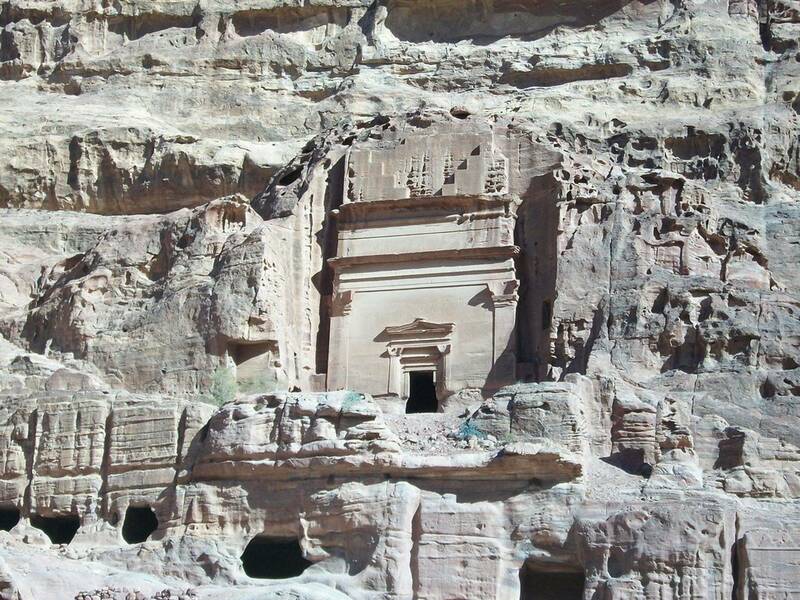 A building hewn out of rock in the city of Petra where the Jews will flee from antichrist during the last half of the 7 year tribulation period. Jesus tells those living at this time through prophecy when they see this abomination or image of the antichrist set up in the Holy Place in the temple in Jerusalem they are to flee to the mountains or Petra. Matt.24:15-30. Paul writes of this act in ll Thessalonians 2:4 where he says antichrist himself will sit in the Holy Place or temple. He will set up an image of himself too as given that will speak and cause* all on the earth to worship the person of the antichrist receive his mark of 666 or be killed . All those who refuse will be killed. The abomination or statue that will speak will be the cause of death and desolation of the earth towards the end of the tribulation. Read all of Revelation 13 with focus on 14-18. Daniel mentions this flight into Petra in Daniel 11:40-43. Note that antichrist is called the king in v.36 and Edom and Moab escape out of his hand or reach v.40 b.This is the area of Petra where the Jews are in hiding! Satan through antichrist will pursue the fleeing Jews just like another person who had the mysterious spirit of antichrist or Pharaoh when the Jews were fleeing him in the desert. His armies will die- like Pharaoh's army when the waters of the Red Sea fell on them-when the earth opens up and destroys the expeditionary forces of antichrist or Satan .v.16 ; the army coming after the Jews like a raging river. Spewed out of his mouth is the attack and chase order. It is hoped you will study this lesson as it takes a great deal of time, is tedious to prepare, and it is for your edification in Him. As Paul said, I would not desire that you be ignorant of the truths of God.